It’s no secret that I like to cook. I love creating healthy recipes and getting creative in the kitchen. However there have been some times where I feel like I’m in a bit of a rut and just end up doing the same recipe over and over again. When the team at Sun Basket reached out and asked if I would be interested in trying their service, I was intrigued. So here’s my experience cooking with Sun Basket. 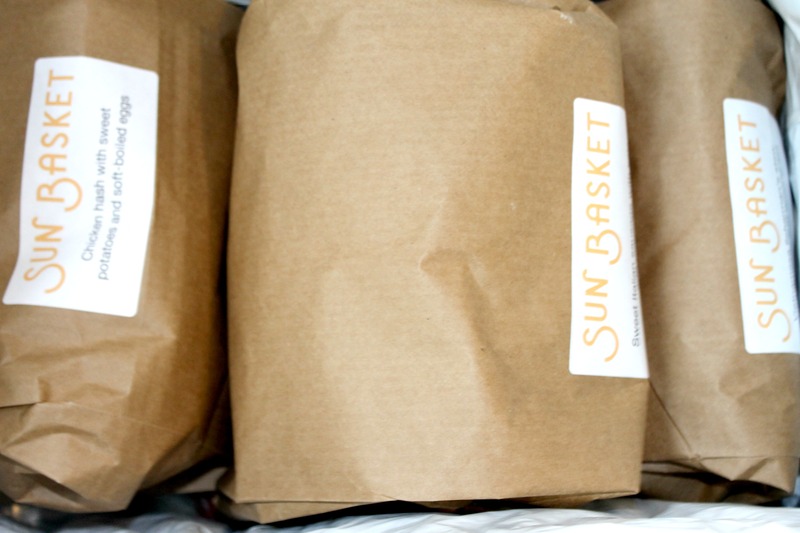 Sun Basket is a meal delivery service that specializes in seasonal food from the Pacific coast. All the ingredients in your delivery are from local farms and organic when possible. Another cool thing about Sun Basket is you can choose your menu based on your dietary preferences. I ended up going with the Paleo menu, but Sun Basket also offers a gluten-free and vegetarian menus, which are great for anyone with dietary restrictions. My week came with 3 different meals and all the ingredients to prepare them. The meals I ended up with were: Italian Sausage and Sauteed Kale, Chicken and Poached Eggs with Sweet Potato Hash and Vietnamese Fisherman’s Stew. As promised, my delivery arrived with all of the ingredients already portioned out. 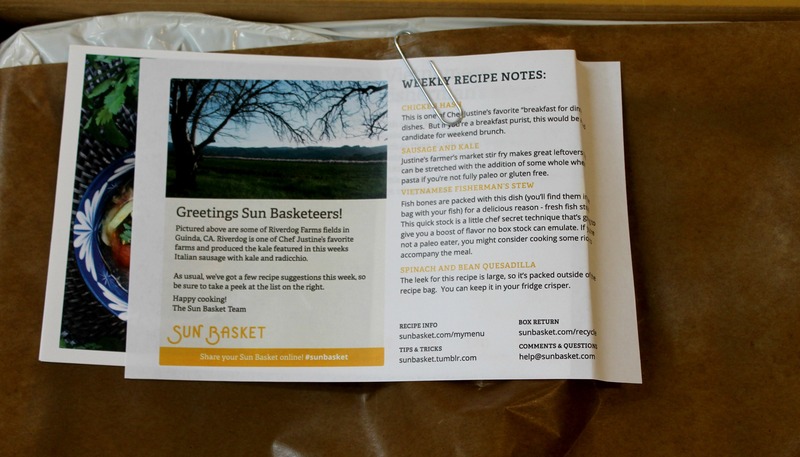 I also love how Sun Basket includes recipe cards for each meal. 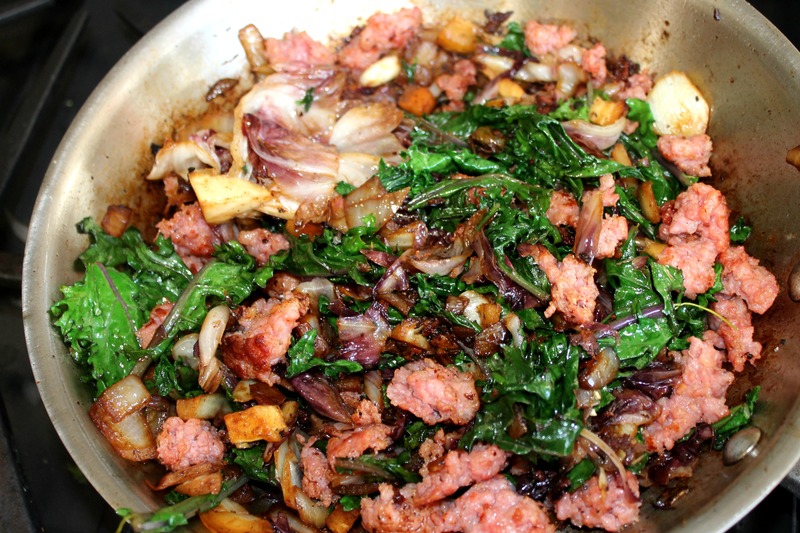 For our first dinner we went with the Italian sausage and sauteed kale and it was delicious! 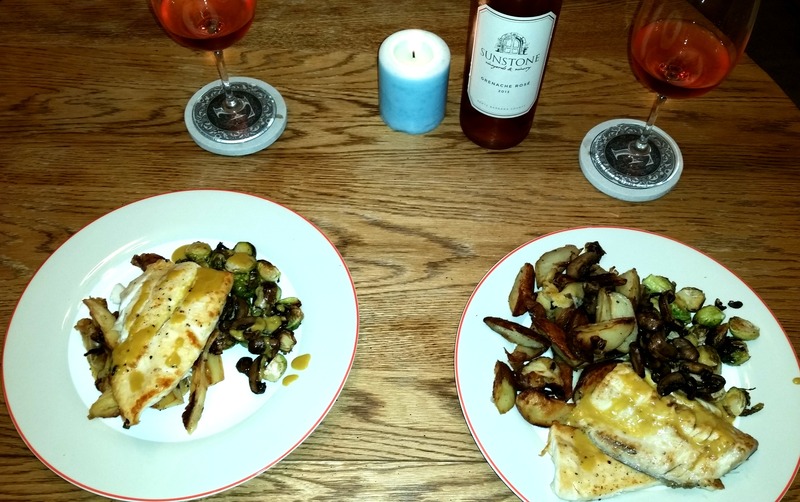 It was super easy to throw together and we had a delicious dinner in no time. Since we had both worked out that day we also added a sweet potato for a little extra starch (per the recommendation on our recipe card) which was the perfect complement to the meal. I also loved that the pork sausage came from Niman Ranch; it really shows how much Sun Basket prides itself on providing the best quality ingredients possible. For the chicken and potato hash, the chicken was Mary’s organic and the cod provided in for the Vietnamese stew was organic as well which was great. Each recipe took roughly a 1/2 hr to cook and there was plenty for two people. So now here’s the fun stuff. 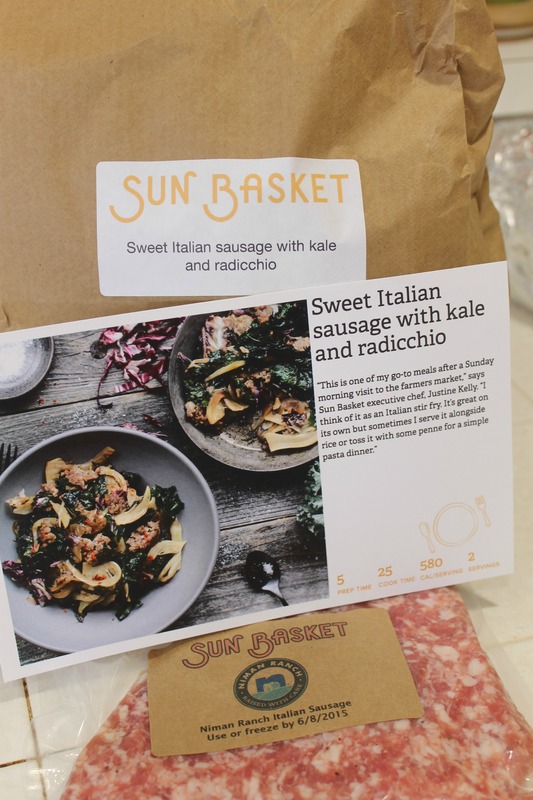 Sun Basket is offering one lucky reader a chance to win one FREE week of Sun Basket meals (that’s 3 meals for 2 people, a $60 value). All you have to do is enter below (open to US residents only, sorry!). And if you don’t win you can still get a pretty sweet 20% discount here. Thanks again to Sun Basket for hosting this giveaway and providing such delicious meals! I’m already feeling more inspired in the kitchen! 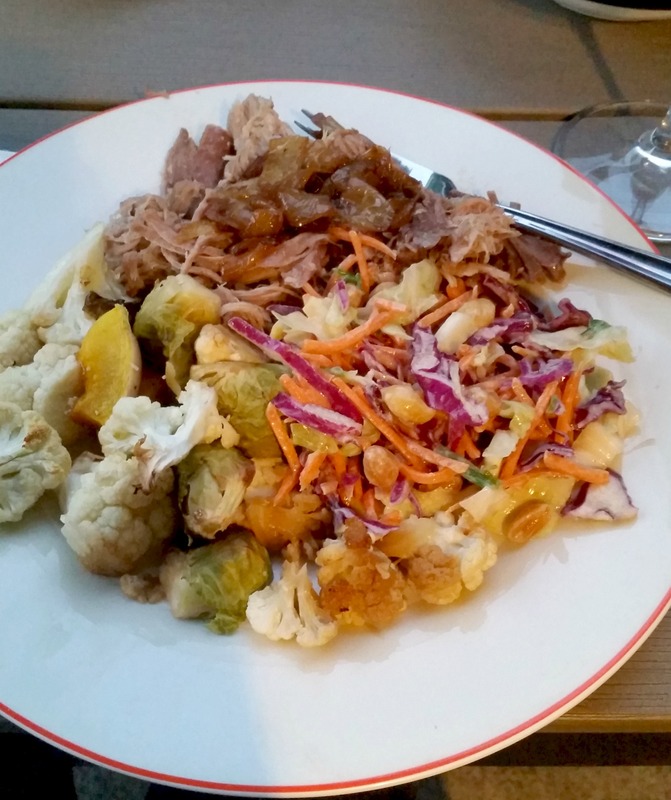 This entry was posted in Best Of, Dinner, Healthy, Life, Paleo and tagged healthy eating, meal delivery, Organic on June 16, 2015 by allie@sweetpotatobites. As I alluded to in my previous post, I’m on a serious tahini kick right now. My latest creation? Chicken with Tahini Sauce. The tahini sauce is loosely inspired by a classic schwarma sauce, only there’s no Greek yogurt involved. Instead, I went for a combo of tahini, coconut aminos and sesame oil with a bit of garlic and lemon for acid. I’m realizing more and more just how versatile tahini really is. First off, it’s great for those who have a nut allergy can can’t do a traditional peanut or almond butter sauce. Second, tahini is neutral tasting enough that you can add a variety of different spices and seasonings and it will still taste great. And third, it’s really good for you! 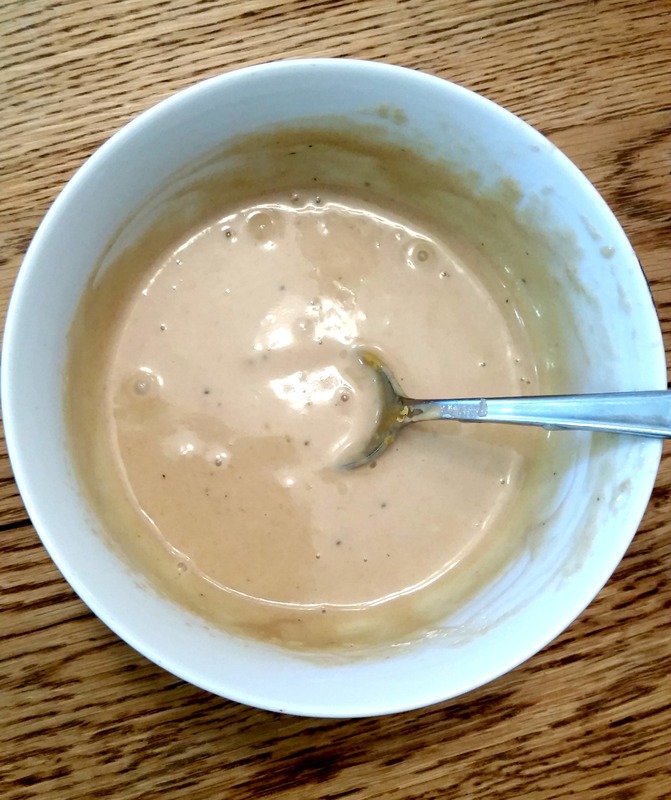 Tahini is high in iron, has lots of vitamin E, and is quite alkaline, which makes it easier for your body to digest. And after success with the cookies and this sauce, I’m officially sold on tahini. For this particular recipe, I decided to coat chicken thighs with tahini sauce and then put them in the slow cooker for a few hours. If you don’t have or don’t want to use a slow cooker, you can just marinate the chicken in the sauce for a couple of hours and then cook in the oven. And if chicken isn’t your thing, might I suggest trying the tahini sauce on a salad with some grilled fish or with some lamb or pork? Place your chicken thighs in a slow cooker. Coat with olive oil and salt and pepper. In a small bowl mix all of your tahini sauce ingredients together. Gently pour your sauce over your chicken until all pieces are coated. Cook on low for 6-8 hrs, or until the chicken is tender and moist. Remove and serve with your favorite sides! This entry was posted in Best Of, Cooking, Dinner, Gluten-Free, Healthy, Paleo and tagged chicken, tahini on April 29, 2015 by allie@sweetpotatobites. The spring reset is officially in full swing! I have to admit it hasn’t been too bad so far aside from a few nights were I really wanted a glass of wine and some cheese. Thank goodness for La Croix water with frozen fruit as a stand in. Anyway, before the spring reset officially kicked off I made this delicious Asian Peanut Slaw over the weekend for a dinner party with some friends and I can’t stop thinking about it. Plus it was from one of my favorites, the Thug Kitchen cookbook so it qualifies as my 2015 cookbook challenge entry for the week! I modified the recipe a bit to accommodate my allergies (swapped coconut aminos for the soy) and added some diced peanuts at the end for an added crunch. 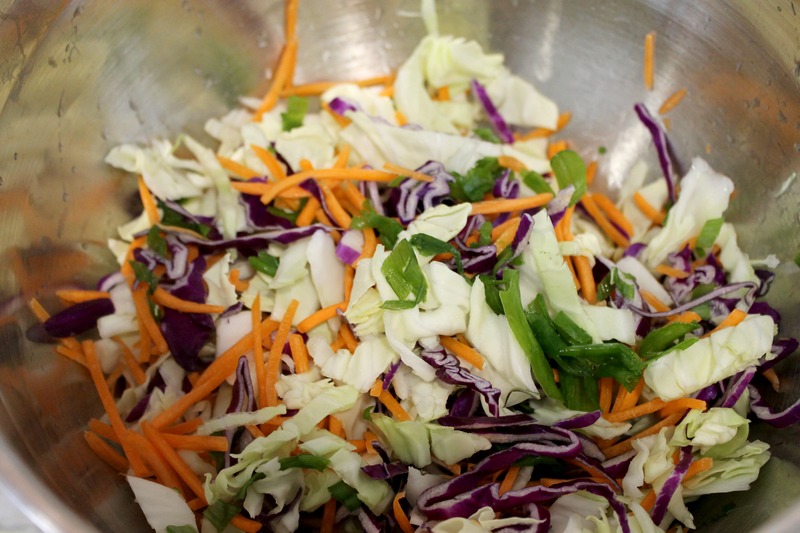 This was super simple to whip together and was a nice change of pace from your traditional slaw made with mayonnaise. In a small mixing bowl mix together your dressing ingredients and set aside. 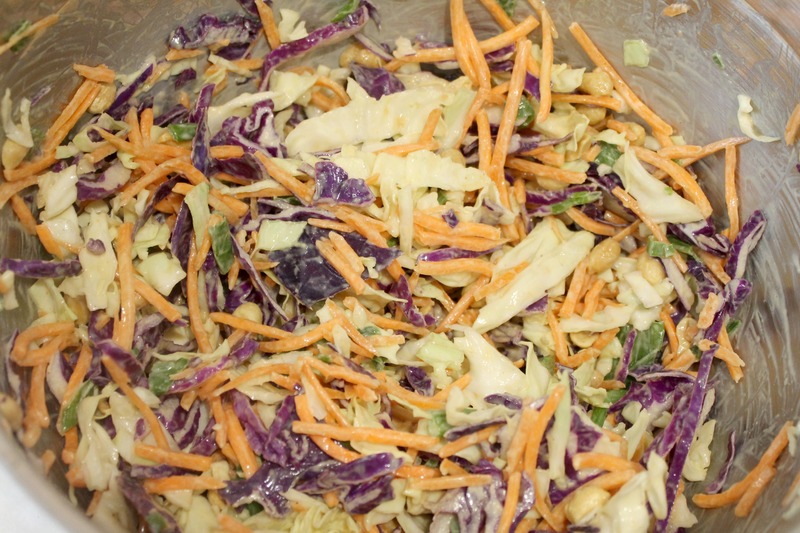 In a larger bowl add all of your slaw ingredients (except the peanuts) and toss together. 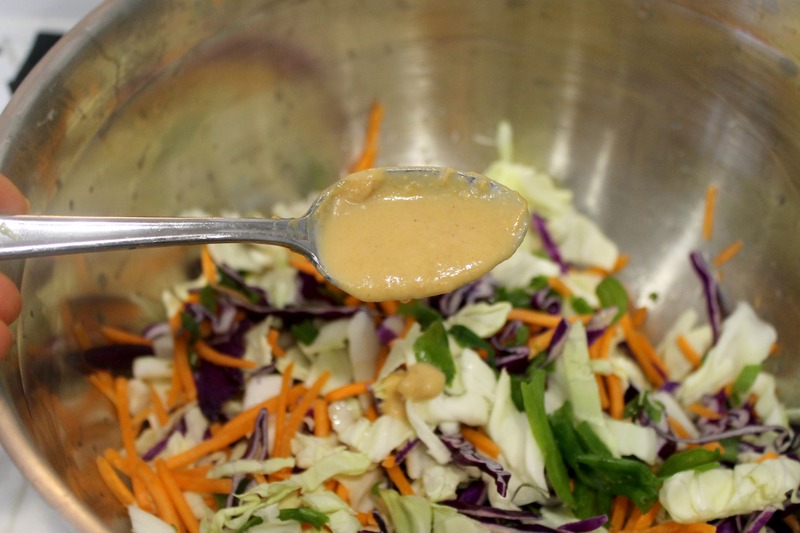 Gently pour your peanut sauce on top of your slaw and continue to mix until well blended. Add your chopped peanuts for garnish and enjoy. This tastes best on the day it is made. This entry was posted in Best Of, Cooking, Dinner, Good Eats, Healthy and tagged 2015 cookbook challenge, gluten free, vegan on April 10, 2015 by allie@sweetpotatobites. I’ve been on a seafood kick recently. Mostly I’ve wanted to eat ALL THE SALMON, but I’m also dreaming about the fresh fish case at Santa Monica Seafood (totally normal, I promise). So for this week’s 2015 cookbook challenge, I consulted my trusty True Food Kitchen cookbook once again and made Halibut with Umami Sauce. Can we talk about umami sauce for a second? It’s the signature ingredient at Umami Burger and it also happens to include tamari, which doesn’t work for someone who’s allergic to soy. But thankfully there’s a great soy-free alternative in the form of coconut aminos , which I swapped in instead and the sauce still came out wonderful. 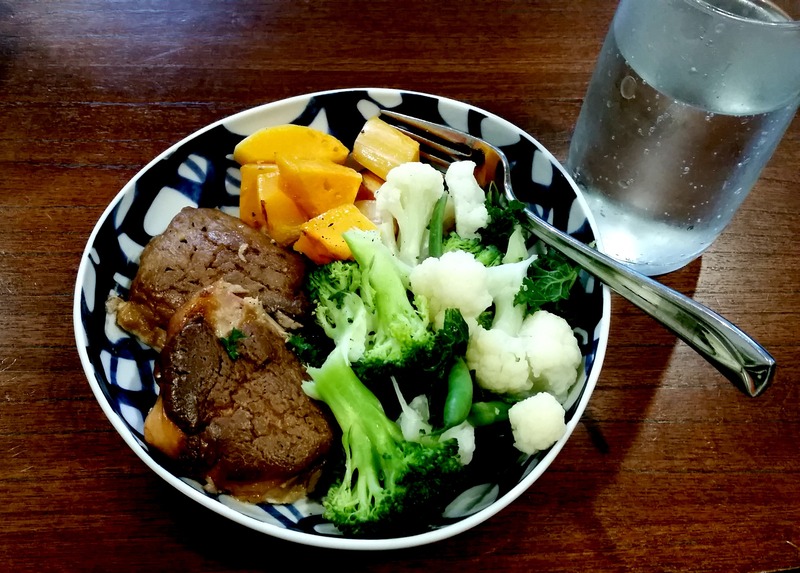 Plus, by using the coconut aminos, the umami sauce is paleo friendly if you are into that sort of thing. This recipe required minimal ingredients since the fish and the sauce were supposed to shine. We didn’t have fingerling potatoes so we used a combo of red potatoes and sweet potatoes, and aside from the sauce update, followed the rest of the recipe. Side note: how awesome do these potatoes look? Preheat oven to 400F. Line a baking sheet with foil (we used a cast iron skillet instead). 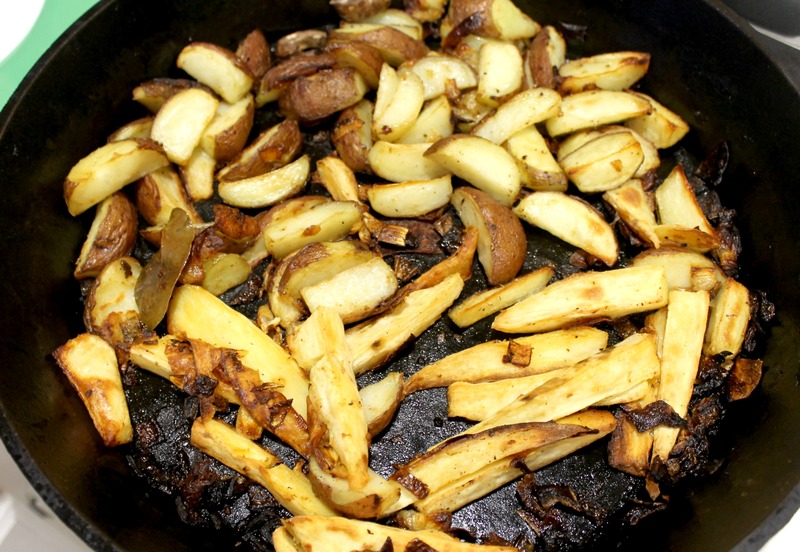 Chop up your sweet potatoes and red potatoes and toss them with olive oil, salt and pepper. Roast for 35-40 minutes or until tender. Wash and dice your brussels sprouts and season with salt and pepper. Heat an ovenproof skillet over medium heat. Add your olive oil and put the fish in the hot pan and place under the broiler. Cook until golden brown (roughly 10 minutes). Heat another skillet over medium heat and coat with olive oil. Place your mushrooms and brussels sprouts in the skillet and cook until crisp. 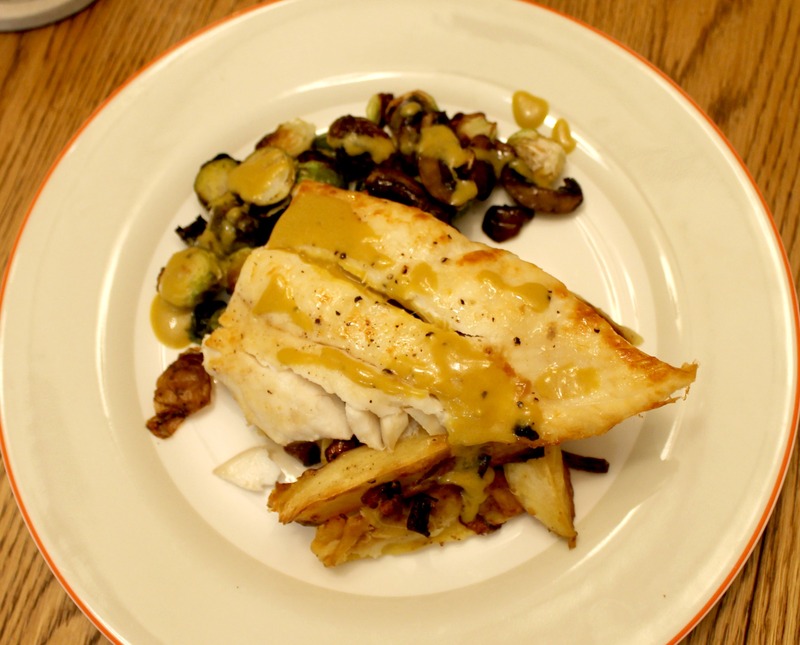 Serve your halibut over your brussels sprouts + mushroom mixture and your roasted potatoes. Drizzle your umami sauce on top and enjoy! This also pairs quite well with a glass of rose. Just saying. What’s your favorite fish dish? Is anyone else on a seafood kick as much as I am? 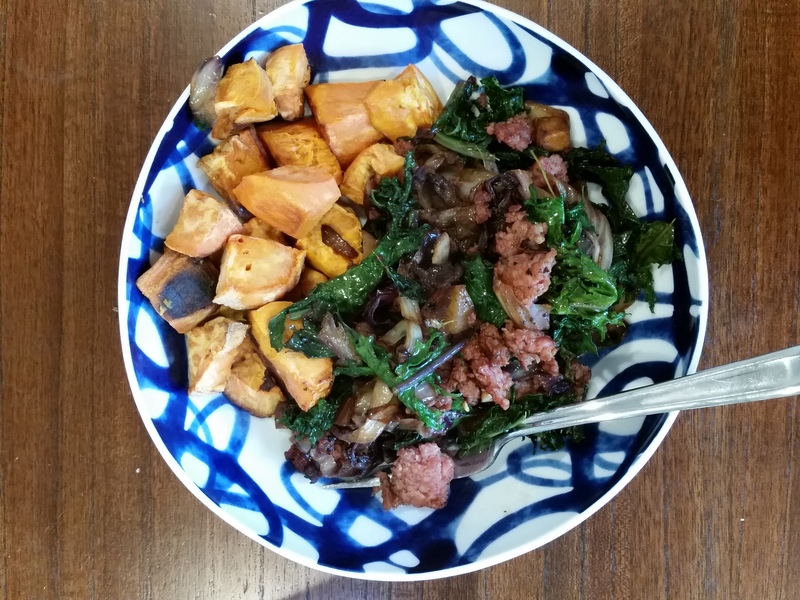 This entry was posted in Best Of, Cooking, Dinner, Gluten-Free, Paleo and tagged 2015 cookbook challenge, True Food Kitchen on February 26, 2015 by allie@sweetpotatobites.